Linda Vandeloop is an Assistant Vice President with responsibility for external and regulatory affairs at AT&T Communications Inc. She is an experienced professional with a track record of overseeing regulatory responsibilities for telecommunications operators. 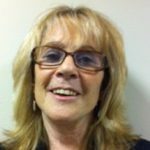 Linda has over 30 years of experience in the telecommunications industry. Linda has held a variety of positions at AT&T, primarily in the Regulatory and Financial Management organizations. She currently works in AT&T’s Federal Regulatory organization in the Washington D.C. office. In her current position she is responsible for consumer and accessibility federal regulatory issues. Linda began her career in California at Pacific Bell in the Financial Management organization responsible for revenue forecasting and financial analysis of regulatory issues. She has a Masters of Administration Degree and a Bachelor of Arts Degree in Economics from the University of California, Davis. At RAG Kansas Linda will join our expert panel discussing the problems created by robocalling and methods to prevent it. Linda is actively engaged with the industry-led Robocall Strike Force that is working with the FCC to find technical network solutions to stop robocalling.